AKIPRESS.COM - Hawaii has been put on alert amid fears a massive hurricane could be about to batter the island, with potential winds of up to 157mph forecast, Sky News reports. The Central Pacific Hurricane Center warned that Hurricane Lane "is forecast to move dangerously close to the main Hawaiian islands as a hurricane later this week, potentially bringing damaging winds and life-threatening flash flooding from heavy rainfall". The storm had been moving west, but it is expected to turn northwest towards the state on Wednesday. 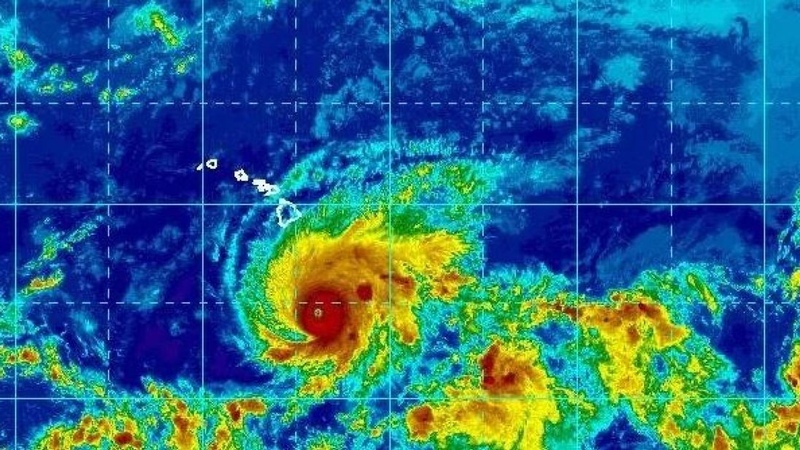 Meteorologist Gavin Shigesato said: "It is much too early to confidently determine which, if any, of the main Hawaiian islands will be directly impacted by Lane." But the hurricane centre said the storm will move very close to or over the islands between Thursday and Saturday. Schools on the Big Island and in Maui County have already been closed until further notice. Hawaii Governor David Ige is allowing non-essential state employees on the Big Island and Maui to go on administrative leave from Wednesday to Friday as the hurricane approaches. He said: "A lot of people are comparing the similarities between Iniki and Lane.